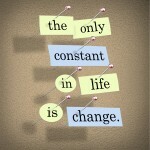 “The only thing constant is Change”. Change is part of business and organisational growth, and is something that must be proactively managed so individuals and collective organisation embrace it and harness the value of it as quickly as possible. Change can be painful as it forces us to do something we are not used to, and pushes us outside of our comfort zone. We help you proactively manage change by helping organisations understand the personal process we all go through, and then helping to bring the organisation through the change process quickly so that business performance excels.